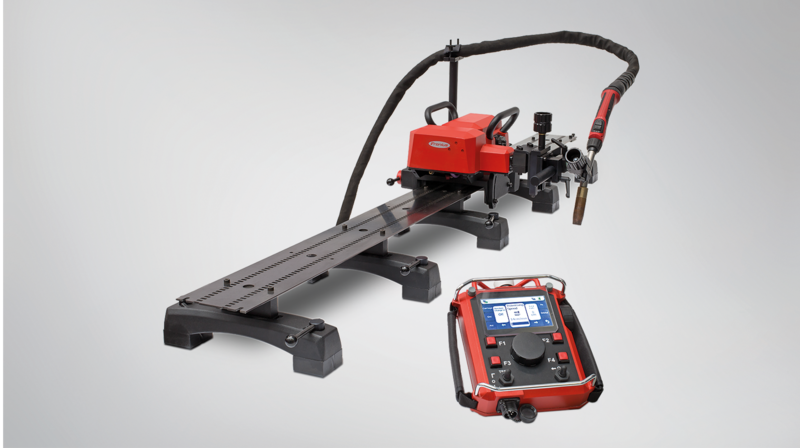 With the FlexTrack 45 Pro welding carriage, Fronius is offering a reliable tool for high requirements. The constant travel speed guarantees consistently high-quality and reproducible weld seams. Different rail systems enable use in a wide range of applications. 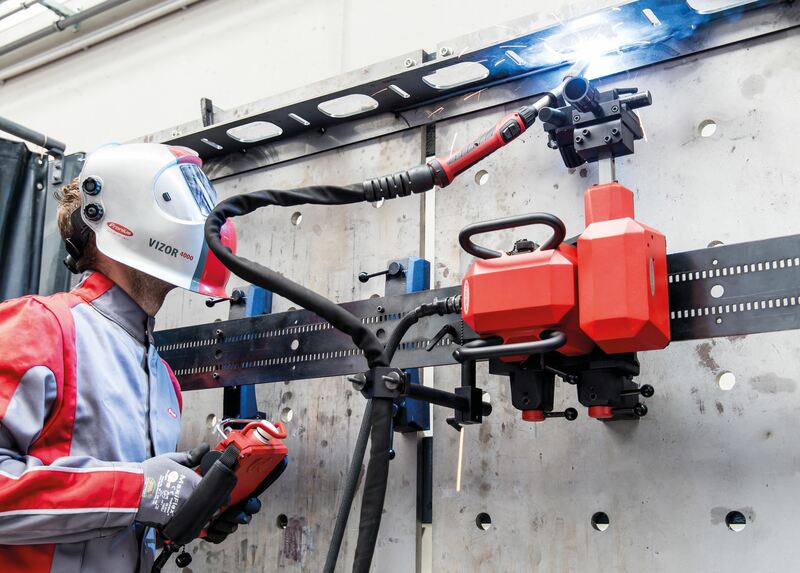 Welders can assemble the system quickly and operate it easily and intuitively via remote control. The FlexTrack 45 Pro is suitable for a wide range of applications. Whether on construction sites, in workshops, in bridge and steel construction, or in container, shipbuilding, and rail vehicle manufacturing, the welding carriage is a reliable tool for high-quality seams. 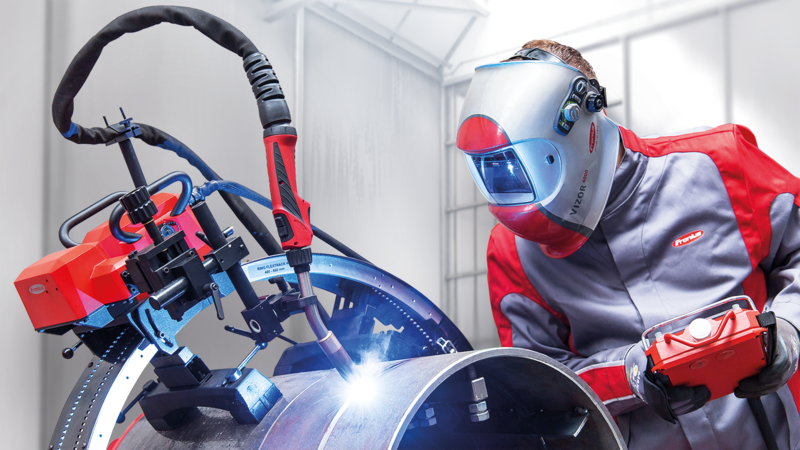 FlexTrack 45 Pro consists of a rail system and a carriage that guides the welding torch. Different rail systems open up a wide range of applications: straight and flexible rails as well as ring segments are suitable for both horizontal and vertical use, for curved components, or for the orbital welding of pipes. Various mounting bridges (magnet, vacuum, adjustable feet) are available depending on the material properties of the component, which guarantee a secure hold both horizontally and vertically. The constant travel speed of the FlexTrack 45 Pro guarantees ideal, reproducible results. The welding carriage is also extremely flexible, as it can be used for both conventional gas metal arc welding (MIG/MAG) and the Cold Metal Transfer (CMT) welding process. The carriage is compatible with the Fronius TPS/i power source. Users can therefore also carry out additional welding processes such as LSC (Low Spatter Control) and PMC (Pulse Multi Control), thus benefitting from virtually spatter-free welding and improved droplet detachment. Users also have the option of equipping the FlexTrack 45 Pro with welding torch oscillation and mechanical seam scanning. Another useful accessory is the Arc Current Control module. This checks the arc length and automatically adjusts the distance between the welding torch and the workpiece. The result is a high-quality weld seam – even on uneven surfaces or guide rails that have not been precisely mounted. The robust and lightweight aluminum housing of the FlexTrack 45 Pro enables it to be used in harsh environmental conditions. The system can be assembled quickly and users can continue to use many of the components from the previous version of the carriage. 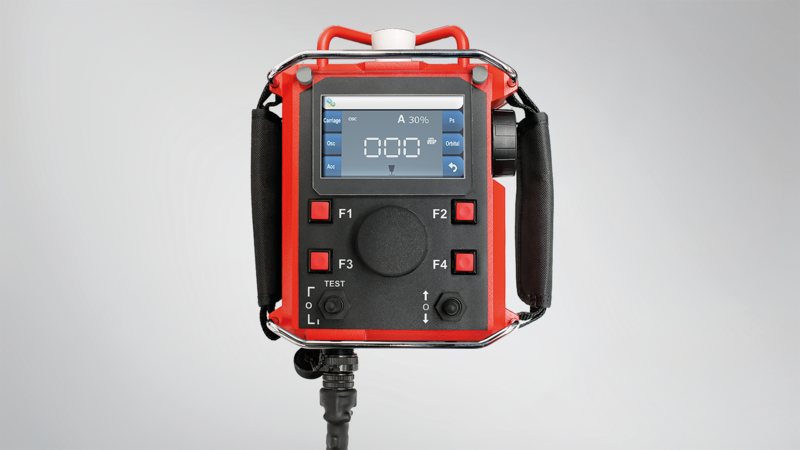 The new, ergonomic FRC-45 Pro remote control makes it easy and intuitive to operate. The touch display, function dial, and language selection help users find their way around quickly. In conjunction with the TPS/i, the welder can set the power source parameters directly on the remote control. An extensive range of accessories means that the FlexTrack 45 Pro can be easily adapted to specific conditions.